Homemade meatballs, marinara, provolone, on slider buns. loaded with Winston's corned beef, cabbage, and Irish cheddar. House made Irish cheese sauce, bacon crumbles. Battered pickle slices, Cajun mayo. 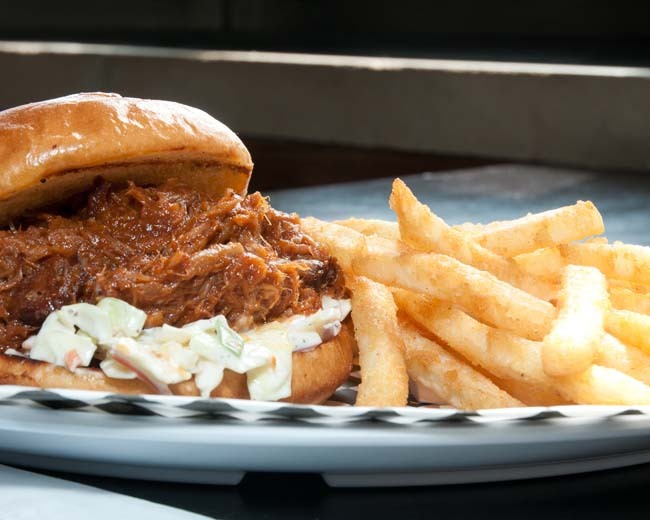 Slow braised pulled pork, Pit Crew's Tennessee smoke BBQ sauce, coleslaw.